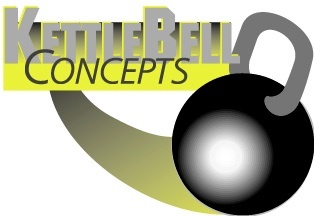 To address many questions & concerns regarding the use of kettlebells in workouts (and to get a great workout, too! ), we’ve asked Vince Motzo, Dean of Advanced Personal Training at the Swedish Institute and the Director of Education for KettleBell Concepts in New York City (bio below), to lead a kettlebell masterclass on Saturday, Nov 10: 12:30-1:45pm. In this hands on workout & lecture, you’ll feel for yourself how incredibly effective and fun they are, and Vince will clarify common misconceptions kettlebell workouts carry. Kettlebells, like Pilates and Yoga, have, over the past 10 years, effectively been making a strong return to the world of fitness. These ancient tools (originally weights on scales in Eastern European markets) are—like Pilates, yoga, Gyrotonics and other skill based modalities—often misunderstood for what they can (and can’t) do for you. No—they’re not bad for your back. No, it’s not a high impact activity. No, you don’t have to be fit to use them. No, they’re not only for athletes; on the contrary, they were designed as a “tool for the masses” in the former USSR to get fit. Although we’ve yet to find one in the archives, since Joseph Pilates was a well-known lifter and certainly encouraged progressive resistance training, it’s very likely he picked up kettlebells back in his boyhood days in Germany. In personal conversations with Juliu Horvath, (Founder of GYROTONIC®) KettleBell Concepts learned he immediately knew what they were and remembered them from when he was a boy. And like Pilates, GYROTONIC® Yoga, dance, martial arts, etc. 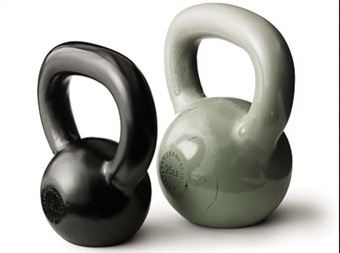 . . kettlebell training is also a life-long study. You can’t learn them in a day, weekend, or life time. (And that’s what makes them so versatile, fun, and an incredibly valuable tool you must have in your repertoire.) KB’s are incredibly cost effective and versatile and—not coincidentally—are slowly but surely starting to appear in small group personal trainings in yoga and Pilates studios around the country. The renowned Miami City Ballet was put on a KB protocol thanks to their Physical Therapist in Residence. Jock Soto, the former Principal Dancer of the NYC Ballet and winner of the Life time Achievement Award in Dance is a huge advocate. The list goes on as do the benefits and ‘bang for the buck’ they provide. On the aerobic side for example they burn a tremendous amount of calories. (20.2 calories a minute in a recent study from ACE http://www.acefitness.org/getfit/studies/kettlebells012010.pdf) Perhaps most importantly. . .they are an absolutely a fantastic complement to ANY other movement protocol. Vincent Metzo is the Dean of Advanced Personal Training at the Swedish Institute and the Director of Education for KBC in New York City. Vincent’s dance, theatre, and acrobatics background lead him to choose exercise science and education as a career. His passion for kettlebells and training grew out of his early training as a dancer and acrobat. While studying with a student of Romana Kryzanowska and performing, he began training with Pilates-based mat work combined with resistance training (Back then you had to say “Pilates based!”) This experience set Vincent on the path to a Master’s degree in exercise physiology, training, coaching, a license in massage therapy and finally teaching. In addition to the development and teaching of the Focus on Flexibility Workshop Series and Flexibility and Corrective Exercise Specialist (FCES) certificate, Vincent is a strong advocate of training with kettlebells because of their transferability to real-life movements. Vincent has been teaching the first progressive curriculum based kettlebell boot camp since 2005 along with kettlebell sports camp for those interested in competitive lifting and the top secret strength and conditioning camp that combines kettlebells with other “low tech-high effect” tools such as ropes, sand bags, and acrobatic movement skills. His strength class has become the proving ground for IFET (Integrated Functional Explosive Training) the new Instructor Training licensed small group personal training offering from KettleBell Concepts. He lives in Westchester with his wife and twin sons.